Why ASP.NET Better Than Classic ASP? ASP.NET however compiles the code the first time it is accessed. The compiled code results in .NET classes housed within assemblies and allow subsequent page requests to be serviced with previously compiled code. ASP.NET therefore inherently provides a more secure and largely efficient rendering model by incorporating compilation and specifically the reuse of the compiled code. This ultimately means a better experience for the end user. ASP.NET was built to provide specific enhancements that allow scalable and efficient application updating. The ‘xcopy’ deployment model of .NET allows replacement of pages and components in real time and does not require a restart of the web server. If an update needs to be made to a current production application, developers can simply make the change and the infrastructure can account for that change the next time a request is made to the altered page or component. This means that content updates, fixes and enhancements to ASP.NET applications can be made in real time with little to no impact to the user base. ASP is running under the inetinfo.exe (IIS) process space, making it susceptible to application crashes. This happens because the IIS needs to be stopped or restarted on a regular basis. The ASP.Net process is separate from inetinfo.exe, meaning that it is not susceptible to these types of application crashes. This means that the final product will be much more stable. Host your ASP.NET application with the latest ASP.NET hosting technology and find out how you can now save even more on hosting fees today. Did you still using ASP scripts for your website? Here are some of the main reasons why you should upgrade your applications to ASP.NET compatible websites. ASP.NET encourages the programmer to develop applications using an event-driven GUI model, rather than in conventional web-scripting environments like ASP and PHP. Lets see what are the difference ASP.NET compared to the classic ASP. 1 – ASP.NET leverages the multi-language capabilities of the .NET Common Language Runtime, allowing web pages to be coded in VB.NET, C#, J#, Delphi.NET, Chrome etc. 2 – Ability to cache the whole page or just parts of it to improve performance. 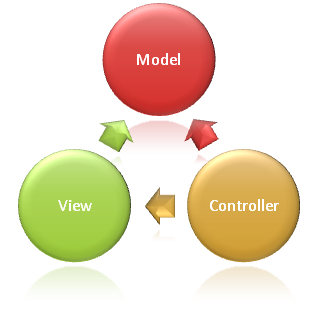 3 – Ability to use the code-behind development model to separate business logic from presentation. 4 – If an ASP.NET application leaks memory, the ASP.NET runtime unloads the AppDomain hosting the erring application and reloads the application in a new AppDomain. 5 – Session state in ASP.NET can be saved in a Microsoft SQL Server database or in a separate process running on the same machine as the web server or on a different machine. That way session values are not lost when the web server is reset or the ASP.NET worker process is recycled. 7 – Web Server Controls: these are controls introduced by ASP.NET for providing the UI for the web form. These controls are state managed controls and are WYSIWYG controls. Take charge the constant improvement of ASP.NET technologies with ASP.NET hosting and the latest development tools today. It makes your web development experience richer than before! 1 – Any application can talk to a host of other applications, running on diverse technology and hardware, in turn lowering the operation costs. Consider this one case, wherein the stock management system is connected to the accounting system, resulting in ample savings. 2 – ASP.NET Bring on one platform all your internal applications, your partners as well as your customers. 3 – Microsoft Visual Studio® .NET and the .NET Framework supports varied languages, in turn helping developers to focus on work at hand instead of trying to learn a new language that can do the job. 4 – Employees can look for updated information on desktop applications, internet browsers or even mobile devices. These are some of the reason to choose ASP.NET hosting for your web applications. Get the hosting plan that supported up to latest ASP.NET 3.5 and MS SQL 2008 today! ASP.NET N-Tier Arhitecture? What it Means by That? Layer 1 – ASP.NET Presentation Layer – Presentation Layer is responsible for displaying user interface to either programmer or end user. Programmer uses this layer for designing purpose and to get the data back and forth. In ASP.NET it includes ASPX pages, user controls, server controls and sometimes security related classes and objects. Layer 2 – ASP.NET Business Layer – The Business layer works as a mediator to transfer the data from presentation layer. In the three tier architecture the data access layer is not made to interact with the presentation layer. The architecture in ASP.NET includes using SqlClient or OleDb objects to retrieve, update and delete data from SQL Server or Access databases and passing the data retrieved to the presentation layer in a DataReader or DataSet object, or a custom collection object. The Data layer gets the data from the business layer and sends it to the database or vice versa. Layer 3 – ASP.NET Data Layer – The Data layer gets the data from the business layer and sends it to the database or gets the data from the database and sends it to the business layer. In ASP .NET it is an SQL Server or Access database. It can also be Oracle, mySQL or even XML. These 3 layers plays an important roles on making the ASP.NET technologies fully functional including all ASP.NET hosting websites software.